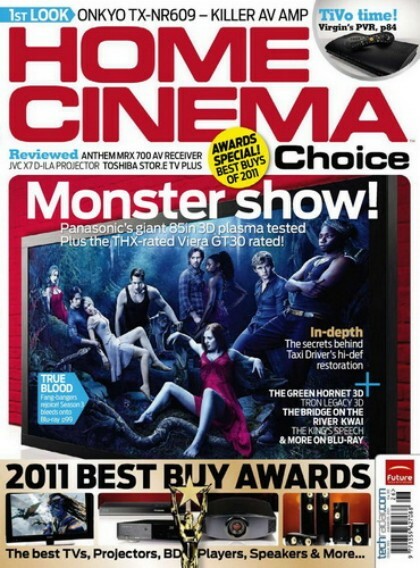 Home Cinema Choice is the UK best selling home cinema enthusiasts magazine. Every issue features news and reviews of the latest home cinema equipment, from amplifiers, receivers, processors and power amps, to DVD recorders, speakers, projectors and flat panel TVs. The magazine also offers advice on setting up this hardware alongside features focussing on drop dead gorgeous home cinema installations, and reviews of the latest DVD releases.